This facial mask is particularly important for nourishing the skin. Bananas (commonly referred to as nature’s botox) contain Potassium, which is great for healing blemishes on the skin. They also have powerful antioxidants e.g. vitamin C, which help eradicate free radicals that are responsible for skin wrinkles by locking moisture into skin cells. Milk, on the other hand, contains lactic acid that helps perk up aging skin. It smoothens, softens, evens out discolorations and lightens dark spots on the skin. It is also known for hydrating the skin by improving its capacity for water retention. Milk also helps improve the production of collagen and also improves skin function. Place the banana in a mixing bowl and mash it into a pulp. Add the oatmeal and mix thoroughly. Protect your hair from the mixture by pulling it back before you apply it on your face. Wear something you wouldn’t mind getting messy. Make sure to use a ripe banana. If you have oily skin, go for skim milk and creamy milk for those with dry skin. This is a great facial for cleansing your skin. Yoghurt contains probiotic enzymes that help nourish the skin, fight acne and tighten the pores. Yoghurt also contains nutrients that help forestall premature aging. On the other hand, honey is a natural moisturizer. It also helps fight bacteria due to its potent anti-bacterial qualities. It helps cleanse the skin by killing bacteria that cause acne. Mix all the ingredients in a bowl then apply a thick coat to the face. Wait for about 15 minutes and then rinse it off with warm water. You should use probiotic yoghurt (unsweetened) to avoid irritation of the skin. Open up your pores beforehand by steaming your face or washing it with warm water. This will allow the ingredients to be absorbed better. Using very thick yoghurt will be more moisturizing. This is an excellent facial for skin tightening. Egg white is vitamin and protein rich and helps by giving your face a lift and tightening pores. This helps reduce age-related skin sags. Olive oil is an excellent antioxidant that helps mitigate the damage caused by free radicals in the body. It’s also a great moisturizer. Beat the egg in a bowl until it forms froth. Pour in the olive oil oatmeal and mix. Apply the resultant mixture and let it sit for about 15 minutes then rinse it off with warm water. It can be a bit difficult getting this mask off. You should use your fingers to rub your face gently in a circular motion to loosen the mask. Extra virgin olive oil is recommended to prevent skin irritation. Use this mask right before you shower as it can be really messy. This mask is great for skin with blemishes. It contains honey that helps with skin hydration and lemon that helps diminish dark marks on the skin. 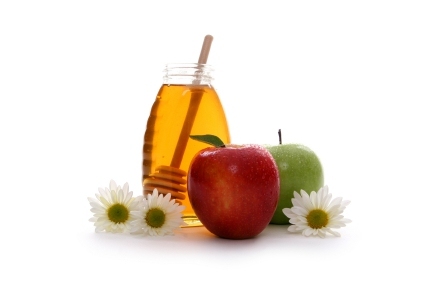 Vinegar helps in the regulation of the skin’s pH. Mix all the ingredients in a bowl until they form a paste. Make sure to apply to a clean face. Massage gently in a circular motion. Rinse off after 10 minutes with warm water. As the name suggests, this is a great mask for those with oily skin. It contains lemon and apple. 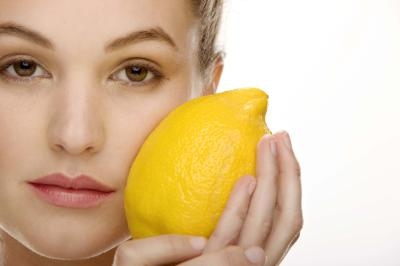 Apple helps remove dead skin cells ad controls oil while lemon helps with blemishes. Beat the egg and use the egg white part. Combine the ingredients in a bowl to form a paste. After application, leave it on for about 15 minutes before rinsing off with cool water. This mask is great for oily to normal skin. Tomato is a great oil absorbent and helps to reduce tan. 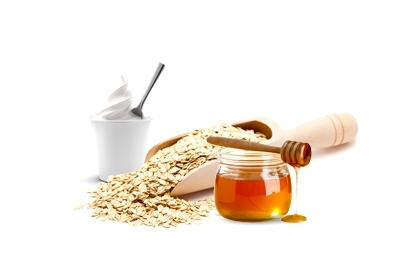 Oatmeal helps to absorb excess oil on the skin to keep it oil free. You should puree the tomato using a blender to form a smooth paste. Put oatmeal in a bowl and pour in the tomato puree. Mix until there are no lumps. As you apply the mask, leave out the eyes and lips. Leave it on for 10-15 minutes. You can also add in some yogurt for better results. Using the right face mask could mean the difference between silky smooth skin and a dry and unsightly one. Check out the video below for a guide on how to make the right face mask.